Premium, marinated and seasoned sweet BBQ vegan jerky. Made from completely plant based protein and finished off with a delectable marinated and seasoned taste and texture. Delicious stuff. My carnivore friends gobbled up nearly the whole pack so Iâ€™m stocking up on this order. One of my fave vegan jerky! Good flavour, my partner and I really enjoyed it. 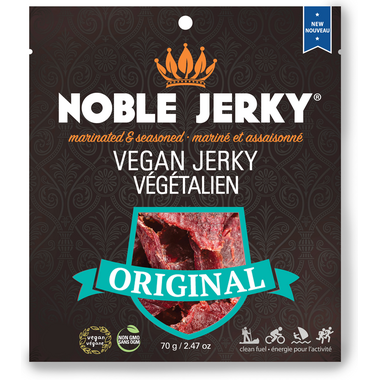 Seriously, the best vegan jerky out there! The original flavor is the best!